Texas is a state located in the United States. 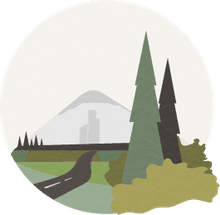 It is the second largest of the fifty United States based on both area and population (Alaska and California are first respectively). The largest city in Texas is Houston while its capital is Austin. Texas is bordered by the U.S. states of New Mexico, Oklahoma, Arkansas and Louisiana but also by the Gulf of Mexico and Mexico. Texas is also one of the fastest growing states in the U.S. Throughout its history, Texas was ruled by six different nations. The first of these was Spain, followed by France and then Mexico until 1836 when the territory became an independent republic. In 1845, it became the 28th U.S. state to enter the Union and in 1861, it joined the Confederate States and seceded from the Union during the Civil War. 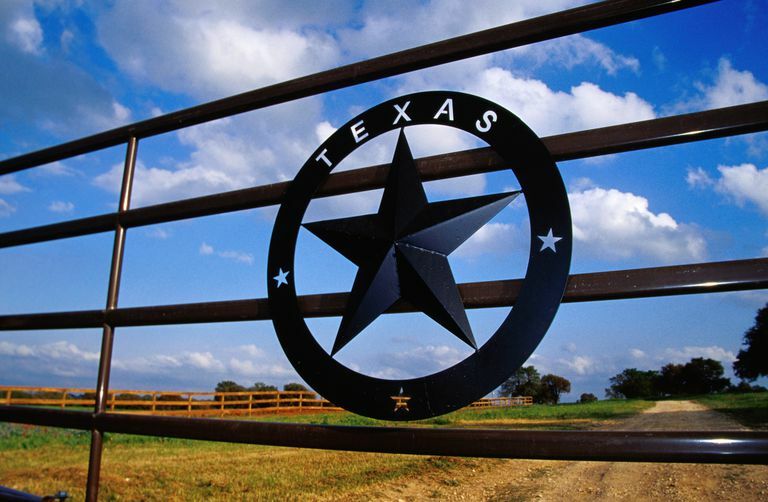 Texas is known as the "Lone Star State" because it was once an independent republic. The state's flag features a lone star to signify this as well as its fight for independence from Mexico. The state constitution of Texas was adopted in 1876. The economy of Texas is known for being based on oil. It was discovered in the state in the early 1900s and the population of the area exploded. Cattle is also a large industry associated with the state and it developed after the Civil War. In addition to its past oil-based economy, Texas has invested strongly in its universities and as a result, today it has a very diverse economy with various high tech industries including energy, computers, aerospace and biomedical sciences. Agriculture and petrochemicals are also growing industries in Texas. Because Texas is such a large state, it has a highly varied topography. The state has ten climatic regions and 11 different ecological regions. The topography types vary from mountainous to forested hill country to coast plains and prairies in the interior. Texas also has 3,700 streams and 15 major rivers but there are no large natural lakes in the state. Despite its being known for having desert landscapes, less than 10% of Texas is actually considered desert. The desert and mountains of Big Bend are the only areas in the state with this landscape. The rest of the state is coastal swamp, woods, plains and low rolling hills. Texas also has a varied climate due to its size. The panhandle portion of the state bigger temperature extremes than does the Gulf Coast, which is milder. For example, Dallas which is located in the northern part of the state has a July average high of 96˚F (35˚C) and an average January low of 34˚F (1.2˚C). Galveston on the other hand, which is located on the Gulf Coast, rarely has summer temperatures over 90˚F (32˚C) or winter lows below 50˚F (5˚C). The Gulf Coast region of Texas is prone to hurricanes. In 1900, a hurricane hit Galveston and destroyed the entire city and may have killed as many as 12,000 people. It was the deadliest natural disaster in U.S. history. Since then, there have been many more devastating hurricanes that have hit Texas. Most of Texas's population is centered around its metropolitan areas and in the eastern part of the state. Texas has a growing population and as of 2012, the state had 4.1 million foreign-born residents. It is estimated however that 1.7 million of those residents are illegal immigrants. To learn more about Texas, visit the state's official website.